Tlaib added that she was “outraged” because she believes it would lead to death threats for Omar. Ocasio-Cortez went the way of Twitter, condemning the Post&apos;s cover as "horrifying" and "hateful"
"Here’s 1 fact," she wrote. "@IlhanMN is a cosponsor of the 9/11 Victim Compensation Fund. She‘s done more for 9/11 families than the GOP who won’t even support healthcare for 1st responders- yet are happy to weaponize her faith." She also attacked Crenshaw in a follow-up Tweet, accusing him of failing to cosponsor a bill: "Permanent Authorization of the September 11th Victim Compensation Fund Act." Omar is a cosponsor. 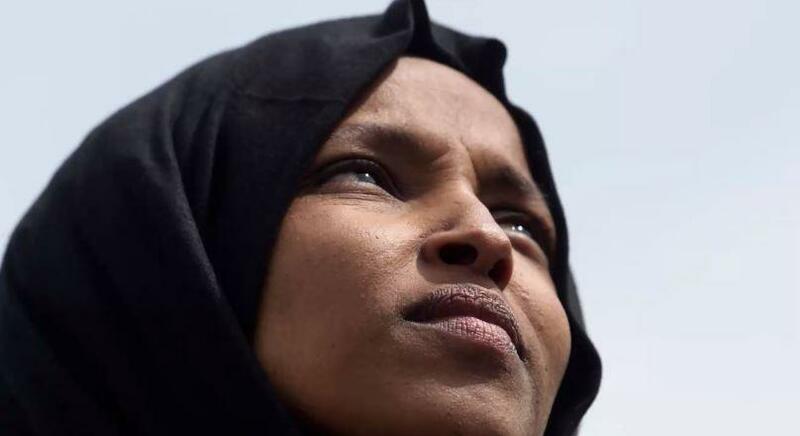 “CAIR was founded after 9/11 because they recognized that some people did something, and that all of us were starting to lose access to our civil liberties,” Omar said at the event. CAIR was actually founded in 1994. Fox News&apos; Jason Donner, Lukas Mikelionis and Kathleen Joyce contributed to this report.